In-home care, also known as homecare, is nonmedical care provided in the client’s home. It includes custodial care for elderly people and assistance with activities of daily living such as eating, bathing and providing medication reminders. Homecare workers are professionally trained caregivers who provide companionship and are responsible for maintaining a safe environment for the person receiving care. Professional caregivers are available to provide assistance that allows many elderly adults to remain at home — from one afternoon per week or 24 hours a day, seven days a week. There are different types of in-home care to accommodate elderly adults with different needs. In-home caregivers, also known as personal care assistants, come to the home to help with activities daily living, such as light housekeeping, grocery shopping, meal preparation, medication reminders, and grooming. Some provide help with personal care for toileting and bathing. In-home caregivers generally do not provide medical care. Companion care providers do just what the name says: provide company for older adults, especially those who are shut-ins because of frailty or a dementing illness (such as mild- to moderate-stage Alzheimer’s disease, or who live alone. Sometimes called “elder companions,” these aides keep a watchful eye, dispense daily medications, drive to haircut appointments, safeguard someone unsteady on his or her feet, read aloud, play cards, prepare light meals and snacks, and otherwise function as an extra set of hands, eyes, and feet for your loved one. Companion care is a growing subset of home care options. Companion care is ideal for someone who would otherwise have to spend part of the day alone and who requires some light assistance. Family members can work or handle other activities knowing their loved one isn’t left alone. Companion care also provides a valuable social benefit, decreasing isolation and improving mood. Warm relationships are often formed when a consistent companion is on the job. In addition to providing companion care, personal care assistants offer assistance with all kinds of activities of daily living, from grocery shopping to such non-medical personal care as toileting, dressing, grooming, and bathing. They can also provide temporary respite care for families. Many families enlist personal care assistants — hired independently or through in-home care agencies — to solve problems in their home care situation, such as a small woman hiring a strong aide who can lift a spouse for bathing, or a son concerned about privacy hiring a woman to bathe his mother. Personal care assistants can arrange for meal preparation, escorts to doctor visits, and any other type of nonmedical assistance your loved one may need in order to live at home longer. If you need to get away for a few hours a week or overnight, in-home care can ease the worry, especially if the in-home caregiver is familiar to your loved one because he or she provides regular services. 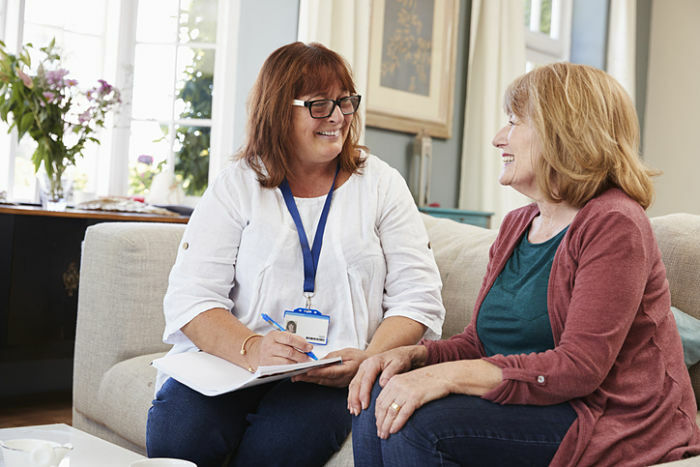 Senior in-home care agencies are responsible for hiring and paying caregivers, including providing training, screening, and supervision of individual caregivers. By contrast, an in-home care registry is a referral service that will match you with a caregiver who is an independent contractor. Independent in-home caregivers are not hired through an agency, and are not listed on Caring.com. If you choose to hire an in-home caregiver independently, you will be responsible for screening the worker, setting up a tax withholding system, and may want to consider providing insurance in case the caregiver suffers an injury or accident on the job. Hiring a home care aide through word of mouth is usually the least expensive option. But you should know that it might create unexpected liabilities for your family, which legally becomes the employer. For example, you’d be held liable for any costs related to an injury that happens on the job, including medical expenses and disability payments. This may not apply if you hire your worker as a contractor, but having a “freelance” aide rather than an employee may not create the long-term solution you’re hoping for — high turnover plagues this industry. If you hire an in-home caregiver through an agency, hourly rates tend to be higher (often significantly higher) than an independent worker, but the agency will pay the FICA taxes, cover the worker’s liability insurance, and fill out the W-4 and W-2 forms. “Once you factor in taxes and insurance, it really comes out to close to the same price,” says Jacqueline Dollar, a geriatric care manager in Des Moines, Iowa. Also, because an agency has a stable of caregivers, you might be able to try out a few and find just the right aide for your situation. “With an agency, you also have the right of refusal,” says Anita Silverman, a geriatric care manager in Lake Worth, Florida. “The agency can replace the person if the arrangement doesn’t work out.” An agency may be able to provide a substitute caregiver if your primary home aide is out sick or on vacation, which can save you a lot of frantic last-minute phone calls. Keep in mind that agency caregivers are bonded and insured, and they’re trained in the basics of care. They often have training in CPR and first aid, as well. Agency employees are expected to abide by an ethics policy and company rules. And agency CNAs may also have in home nurses checking in on them to make sure all is well and to offer advice. Whether you choose to hire independently or go through an agency, doing some homework on your candidates will help ensure that you hire a reputable worker. Caring.com offers a comprehensive directory of non-medical home care agencies and home health agencies. You can search the directory to find local agencies and read consumer reviews about their quality of care. Another excellent way to find a high-quality agency is Medicare’s Home Healthcare Compare tool, which allows you to search for agencies in your area that have met with Medicare’s approval. The site gives a summary of statistics on the quality of each agency, such as “percentage of patients who get better at walking around,” that you can use to guide your decision. Also look for an agency that’s licensed (if state law requires it) and that has liability insurance. Check to make sure the agency’s caregivers are bonded and insured and that they’re screened for communicable diseases, like tuberculosis, since the elderly are especially vulnerable to these. If you hire someone yourself, it’s a good idea to find an individual who has (or who once had) a home health aide license, so you know a registered nurse has trained the person in the basics of care. Also get a criminal record check from a service such as Intelius or SentryLink and always call references. There are always a few bad apples who’ll take advantage of vulnerable clients — make sure you don’t unwittingly hire one. “If the person doesn’t want to submit to a reference check, that’s not the person you want — it’s a big red flag,” says Dollar. 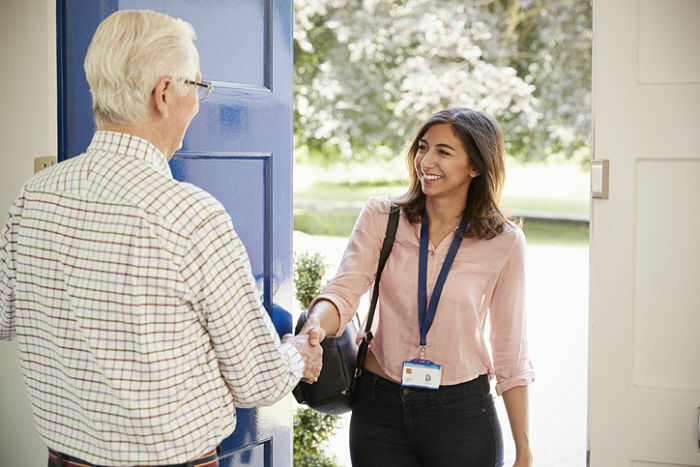 If you choose to hire an in-home caregiver independently, the first thing you need to decide is whether to treat the person as an employee or as a contractor. If you hire an employee, you’ll be legally responsible for paying taxes and benefits such as Social Security and Medicare (FICA), income tax withholding, and unemployment tax. Payroll preparation agencies such as Paycycle and SurePayroll can help you with the accounting and paperwork. If you hire the worker as a contractor, you’ll still have to file a 1099 form with the IRS on any wages you pay over $600 per year. However, the aide would be responsible for paying her own taxes. If you choose to hire independently, you may want to consult a lawyer and an accountant to make sure you’re meeting your legal and financial obligations to the employee and to the state and federal governments. If your loved ones need full-time care, you’ll need to hire at least two caregivers. Nobody wants to work seven days a week, complications will arise in any aide’s schedule, and turnover is really high in this field. Also, if you hire two in-home caregivers, they can trade off and you can protect yourself from being left in the lurch with no help. One way to ensure a smooth handoff is to schedule a half hour of overlap between their shifts so that they can debrief each other on any issues that may have come up during the prior day or shift. If they work on different days, ask them to keep notes in a designated notebook about changes in routine or any concerns. If you hire the caregiver through an agency, ask about backup provisions for when your aide is sick or on vacation — or if he or she quits the agency. Does the agency provide an alternate? Is there an extra charge for this service? “One big mistake people make when hiring an aide is to say, ‘Your job is to take care of Dad,'” says Dollar. “That’s not good enough — you need a detailed job description.” Do you expect the aide to cook? Clean? Do laundry? Pick up medications from the pharmacy and run errands? Will she bring her own lunch or cook and eat with your loved ones? Make your expectations clear. It’s also important to tell the aide when her routine evaluations and raises will occur. If you put all these details in writing, you won’t run the risk of disappointment once you’ve hired your aide, and you’ll have better luck keeping her on board. “You should also enlighten your loved ones about what they should — and shouldn’t — be asking for,” says Silverman. If the contract doesn’t say the aide will wash the floors, don’t expect it. Keep in mind that aides are employees; don’t try to make them your friends. “People are so happy to have help that they often treat the employee like a friend, and that creates problems down the line,” says Dollar. If your employee thinks of herself as your pal, she may be more likely to take liberties such as bringing her kids or pets to work, or she may bridle when you assert your authority and request a change. The bottom line: Keep it professional. Depending on the level of care needed and where you live, in-home care can be more expensive than the cost of an assisted living community. In-home care usually costs more in urban areas than rural ones, for example, and skilled assistance with bathing or toileting is more expensive than simple help around the house. Most in-home caregivers charge between $20 and $40 per hour. The average yearly cost of a full-time home health aide in the U.S. is roughly $48,000, according to Genworth Financial. Most seniors today report that they would prefer to stay in their homes, or “age in place,” for as long as possible. But as people get older, a number of age-related conditions can make living at home increasingly difficult. 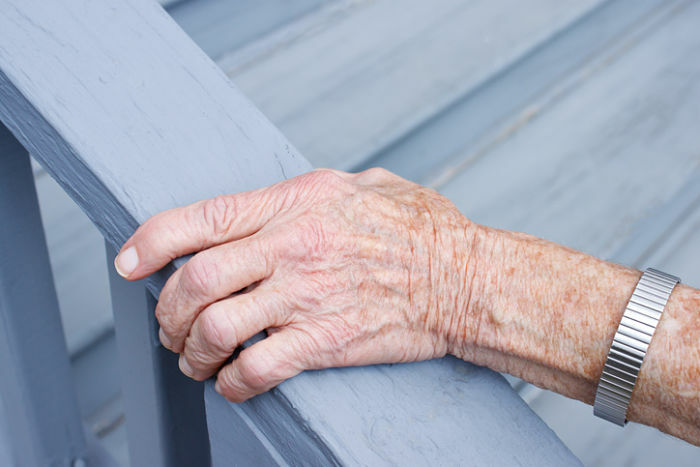 If you’ve noticed that your aging parent isn’t able to take care of themselves or their homes the way they used to, and suspect that an assisted living community or care home wouldn’t be a good fit for them, it may be time to consider in-home care. Today there are a number of different home care options that can help your parents keep on top of routines and stay happy and healthy, while remaining in their home. When you give your parent a hug, you may notice that they feel thinner and frailer than before. Or maybe you’ve spotted bruises on their body. These types of physical symptoms may be signs that your parent needs some extra help at home. Significant weight loss can be a sign that your aging parent is struggling to prepare meals for themselves, or that they have trouble getting around the kitchen or possibly remembering how to cook properly (a sign of dementia). Bruises tend to be evidence of falls or other accidents, although your parent may be reluctant to admit that this is happening. An in-home caregiver can help ensure that your parent is getting the proper nutrition and can help them prevent falls. Trouble walking and moving around can make it tough to complete routine activities of daily living, making in-home care a much-needed help. Mobility issues can have far-reaching effects – making it tough to get around the house (especially if stairs are involved), shower, or go out to buy groceries or for other errands and social visits. This can lead to a host of other problems, from malnutrition to social isolation. Home caregivers can help your parent get where they need to go, on grocery shopping trips and other errands, and provide valuable companionship. One of the biggest indicators that your aging parent needs in-home help is a noticeable decline in hygiene and grooming. This may include infrequent bathing, a strong smell of urine or a general unkempt appearance. Typically hygiene and grooming habits decline when a person is no longer able to keep up with these routines, either physically or due to cognitive decline. It can be hard for adult children to intervene when it comes to toileting, bathing and other intimate activities of daily living. Even if this isn’t an issue for your family, there will likely come times when you or another family caregiver will need a break. In these cases, personal care assistants can help make sure your parent is able to continue their normal grooming and hygiene habits. We all forget things sometimes – the name of that book you read, whatever it is you walked into the room to get. But increasing incidents of forgetfulness over time – especially when it comes to important to-dos like taking medication or paying bills – may indicate that home care help is needed. If your parent’s memory issues are interfering with their everyday activities, it’s a good indication that they should see a physician about their memory problems, as these may be signs of cognitive decline. Working with an in-home care assistant, you can help ensure that your parent stays on top of their normal activities, despite any cognitive decline. If you notice that your parent has a pile of unopened financial statements or warnings about unpaid bills, this can be a major sign that it’s time for home care. Suddenly applying for multiple new credit cards or signing up for pricey memberships or subscriptions can also be red flags. Trouble handling finances when they were able to do so previously and poor judgment are both common early signs of Alzheimer’s disease. Although in-home caregivers should not be given access to your parent’s financial information (if needed, your parent should instead designate a trusted family member or other loved one), they can still help remind your mom or dad to stay organized and pay bills. Difficulty keeping up with housework is a common indication that an elderly person needs in-home assistance. They may be unable to perform these tasks the way they did before due to mobility issues, cognitive decline, or even depression. Some signs that your parent is struggling to keep up with the housework may include dust, dirt or grime in areas that used to be clean, excessive clutter or piles of dirty dishes or laundry. Many in-home caregivers provide housekeeping assistance such as cleaning countertops and appliances, sweeping the floor, running the dishwasher and doing laundry. Have you noticed that your parent no longer seems to enjoy many of the hobbies they once enjoyed? Maybe their previously well-tended backyard garden has been neglected, or their weekly card game with friends has gone by the wayside. You might notice that your mom or dad has even given up more sedentary activities such as knitting, reading or watching a favorite TV show. Losing interest in hobbies and activities can be a sign of numerous underlying problems, notably depression. While an in-home caregiver won’t be able to solve these medical or mental health issues, they can help ensure that your parent adheres to treatment plans, and can provide much-needed help so that your mom or dad is still able enjoy favorite pastimes.